Make the leap from corporate employee to self-employed freedom by using outside the box job ideas for self employment. Before quitting your full time job, make sure you've prepared yourself. Have a plan for your transition. Save at least a year's salary or more so you have a financial cushion. Find affordable medical insurance for yourself and your family. Once those worries are out of the way, it's time to explore outside the box ideas for self employment. Depending on your unique education, work experience, skills and talents, some self-employment ideas will look more attractive than others. Look at potential ideas based on your special talents or interests then let those ideas act as a springboard for your own creative brainstorming. Common ideas related to children's and educational home businesses include day care centers, babysitting or tutoring. There are other ways to parlay your love for children or your experience as a teacher into lucrative self employment. Children's entertainer: Act as a child's birthday party planner or hire yourself out as an extra pair of hands during children's parties. You could also start a business as a party clown, magician or other entertainer. SAT and standardized test tutors: Plenty of people hang their shingle out as a subject-matter tutor, but how about specifically tutoring teens for the SAT, ACT or AP exams? How about state standardized tests? With the increased focus on standardized test scores for children of all ages, credentialed teachers could have an advantage over others when pursuing this specialized business niche. The Internet has made it possible for many people to earn money freelancing in ways that just a generation ago seemed impossible. These are also good stay at home jobs too for working parents. Niche marketers: A niche marketer exploits a consumer niche with high search engine traffic and creates mini websites with information and affiliate product links. Niche marketers earn money from Google Adsense revenue and affiliate commission when products sell. It's hard work to find niches, build mini sites, and find great selling products, but if you like computer work and have a flair for marketing, it can be very lucrative. 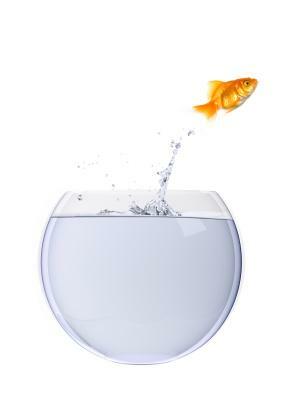 Freelance specialty writers: Freelancing writing isn't very "out of the box" thinking for self employment, but how about thinking about unique specialties? Medical, technical and financial freelance writers earn top dollars and their work is always in demand. There are specialty niches for SEO copywriters, voiceover writers, script writers and more. Instead of pursuing a generalist career as a freelance writer, think about narrow niches to target. Healthcare jobs are always in demand. People with healthcare related degrees and experience may find unique opportunities to freelance. Legal nurse consultant: Legal nurse consultants work with attorneys to offer medical advice. Attorneys working on health or medical cases often seek expert testimony from legal nurse consultants on symptoms and treatment plans. Doulas: A doula is a trained birthing assistant who remains with a woman in labor to coach her through labor and delivery. If you have nursing experience or other medical credentials, consider opening a doula practice in your city after checking with your state's credentialing requirements. If you're handy around the house, you may want to consider starting a home repair or maintenance business. Many people wish they had a reliable, responsible and knowledgeable person on call to handle simple home repair jobs. Single homeowners and the elderly may need help with simple tasks such as moving furniture, hanging pictures and Venetian blinds or performing other tasks around the home. Home maintenance and odd job services work best if you have a flexible schedule and a lot of knowledge about simple home repair. If you have a flair for gardening, you can transform your green thumb into flexible self employment. Consider offering an office plant-care service where you travel to offices to water, fertilize and care for plants. Offer plant sitting services and tend to houseplants and gardens while the owners are absent. Offer an on-call diagnostic service for sick plants. Think about all the little tasks associated with plant care that the big lawn service companies won't touch, and turn those into your unique self employment idea. The best way to discover outside the box job ideas for self employment is to think about the unique skills and talents you may have that can be parlayed into your own business. Musicians don't have to teach music lessons or play at official gigs. Instead, you could specialize as a wedding musician who is knowledgeable about ethnic music and develop a niche, out of the box business. If you love animals, how about becoming a show judge for livestock competitions, horse shows, dog or cat shows? What about combining your love of travel with your love of animals and opening a website to connect pet owners with rental properties that welcome their furry friends? It takes some creative brainstorming to come up with different self-employment ideas. Once you've created a list of ideas, explore the market and make sure there's a demand for your services. Read articles offering entrepreneurship and business startup advice. Exploring ideas will help you ready yourself for the great leap into self employment. Once you've made that leap, you'll never want to return to the nine to five.